The prediction of a dynamic, volatile, and unpredictable stock market has been a challenging issue for the researchers over the past few years. This paper discusses stock market-related technical indicators, mathematical models, most preferred algorithms used in data science industries, analysis of various types of machine learning algorithms, and an overall summary of solutions. This paper is an attempt to perform the analysis of various issues pertaining to dynamic stock market prediction, based on the fact that minimization of stock market investment risk is strongly correlated to minimization of forecasting errors. Rupinder kaur, Ms. Vidhu Kiran, “Time Series based Accuracy Stock Market Forecasting using Artificial Neural Network”, IJARCCE. doi: https://doi.org/10.17148/IJARCCE, 2015. AI Stock Market Forum: http://www.ai-stockmarketforum.com/. How to Value Stocks using DCF and the Dangers of Doing, Do Fundamentals Really Drive The stock market? www.mckinsey.com, A Mckinsey report. Ben McClure, Discounted Cash Flow Analysis, Investopedia, Investopedia.com, 2010 http://www.investopedia.com/university/dcf/. http://www.angoss.com, Key Performance Indicators Six Sigma and Data Mining.pdf, 2011. 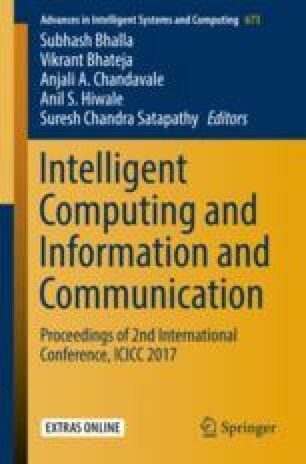 Alexandra L’Heureux; Katarina Grolinger, Hany F. El Yamany; Miriam Capretz, Machine Learning with Big Data: Challenges and Approaches, IEEE Access, 2017, doi: https://doi.org/10.1109/ACCESS.2017.2696365. J. Huang, J. Lu and C. X. Ling, “Comparing naive Bayes, decision trees, and SVM with AUC and accuracy,” Third IEEE International Conference on Data Mining, 2003, pp. 553–556. doi: https://doi.org/10.1109/ICDM.2003.1250975. Neelima Budhani, Dr. C.K. Jha, Sandeep K. Budhani, Application of Neural Network in Analysis of Stock Market Prediction, www.ijcset.com, IJCSET, 2012.